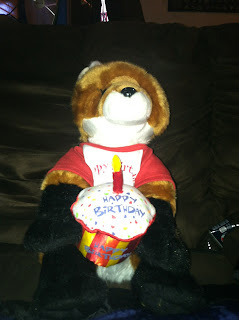 MamaBreak: Build-A-Bear Workshop for a Happy Birthday! Summertime means TONS of birthday fun for our family! Did you know that this July MamaBreak is 1???!!!?? We also have 3 birthdays of the kiddos in the summer between the 2 mamas!!! Yes, summer is super busy! We love celebrating, and love that Build-A-Bear makes it so easy to put a smile on their faces! We received 2 Build-A-Bear animals to review, and my kiddos have not put them down since the arrived! 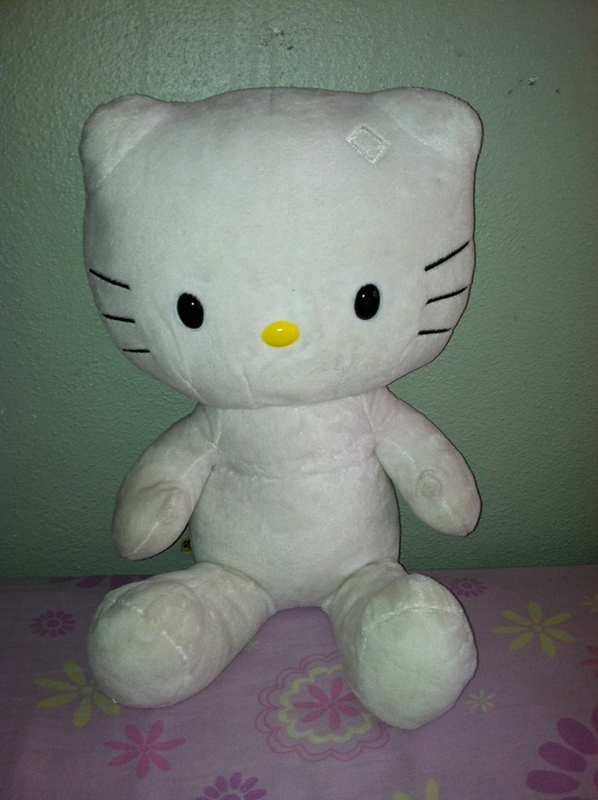 Hello Kitty is so perfect! You can pick from MANY outfits for her, including Hello Kitty shirts, pants, and even shoes! My daughter will ONLY wear shirts with a cat on them, so this was the perfect gift for her. 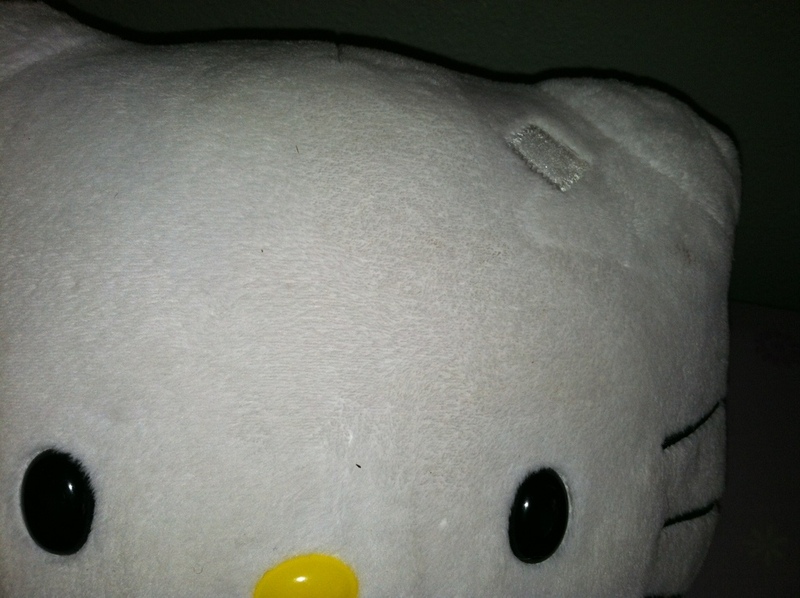 The stuffed animal even features a velcro area on her head to place a flower or other hair accessory! Very fun for dress up! We love Build-A-Bear outfits because they fit all of the different animals, which makes it easy to mix and match! We also received this adorable fox which is a part of their Zoo collection, and is only available online. We completed the look with a birthday outfit and cupcake, which is a great way to say, "Happy Birthday!" Want to make your OWN Build-A-Bear Workshop friend? Enter below to win a $25 gift card! I love the Smurfette. My daughter's birthday is coming up and she'd be excited to win! That Jazzy Frog is adorable! Love the sunshine hello kitty! My almost 3 year old has been wanting the My Little Pony ones for awhile now! I think that my grandson would like Jazzy Frog. I like the Curly Bear. Classic with a cute texture. I would like Twilight Sparkle! I'm pretty sure we need Rainbow Dash!! the Smart Style Paperback Pup is ADORABLE. One of my favorites is the 19 in. Giraffe. I love the My Little Pony or Smurfette toys. I love the My Little Pony one. I would love to get that for my granddaughter. Love the Flower Fun Stuffed Bunny! My daughter would love the - 16 in. MY LITTLE PONY RAINBOW DASH®! Thanks for the chance! I like the 18 in. Wild About Stripes Bear. I like the Cody Simpson bear. I like the 18 in. Razzy Berry Kitty! One of the My Little Ponies would be my daughter's first pick! My son would LOVE the King Penguin! Thanks! I like lots of them but I think Splash of Color Razzy Berry Kitty is my favorite! My daughter wants the Pinkie Pie Pony. I like the 16in Cream Puff Kitty. I love the 16 in. Disney Princess Bear, she's really into the Disney Princese and she would love it!!! Have always wanted to go to Build a Bear, just never have, hopefully we will get to go. I love the Happy Hugs Classic Teddy Bear! I can't decide, I like so many! My daughter's first birthday was the 4th! My favorite one is the Slumberin' Smurfette! love her!! I like the My Little Pony Princess Twilight Sparkle.